Well, winter has certainly hit in the the last week or so. There has been no gentle easing into it this year! You may be noticing that your skin is feeling a lot drier, and if you suffer from eczema or dermatitis you might be suffering from a flare up due to the sudden cold. 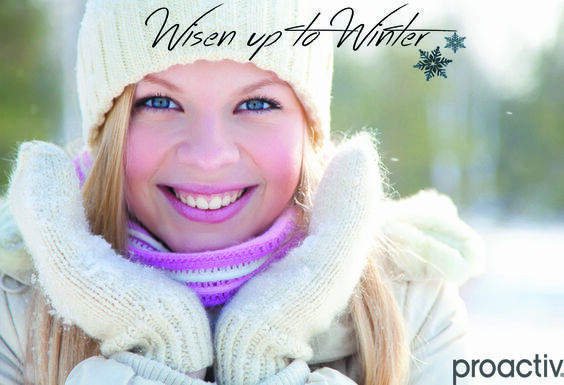 This week we are going to talk about taking care of your winter skin and keeping it healthy through the colder months. Managing Eczema and Dermatitis - If you are dealing with a skin condition such as eczema or dermatitis you can really suffer through winter. The cold, dry air can cause flare ups and leave you itchy and dry. To make sure you care for you skin in the best possible way make sure you moisturise every day. Keep your topical steroid cream on hand and make sure you use it on flare ups. While you may want to use it sparingly, medical professionals recommend that you use it consistently until your flare up has healed, rather than just to make it slightly better. It’s important to avoid your flare ups getting infected so treat them properly. You may also want to look into investing in a humidifier if your skin reacts to the dry air. This adds moisture to the air, and your skin. Also make sure you are protecting your skin from the cold in breathable fabrics so you don’t overheat or react to the fabric. Taking care of your face and hands - If you live somewhere particularly cold you may find that your face and hands are becoming dry and chapped. You can avoid this by investing in a thick, gel like moisturiser such as the Proactiv Complexion Perfecting Hydrator. It’s also important to exfoliate to remove the dry, dead skin and keep your skin fresh and healthy. The Proactiv Deep Cleansing Brush is the perfect way to remove the winter skin from your face. Looking after your lips - Your lips are some of the most delicate skin on your body. They also don’t produce any moisture themselves so they can quickly dry out and become chapped in cold, dry weather. To take care of them make sure you exfoliate them regularly, using a small, soft crush or scup, to remove the dead skin. Make sure you drink a lot of water, as this is a natural hydrator, and use a moisturiser on your lips such as a lip balm. A petroleum jelly based lip balm will help lock in the moisture. Also try and protect them with a scarf when you’re outside. Hopefully these tips help get you through the winter months. Next week we are talking about how having amazing skin takes more than just a good skincare routine. See you then!